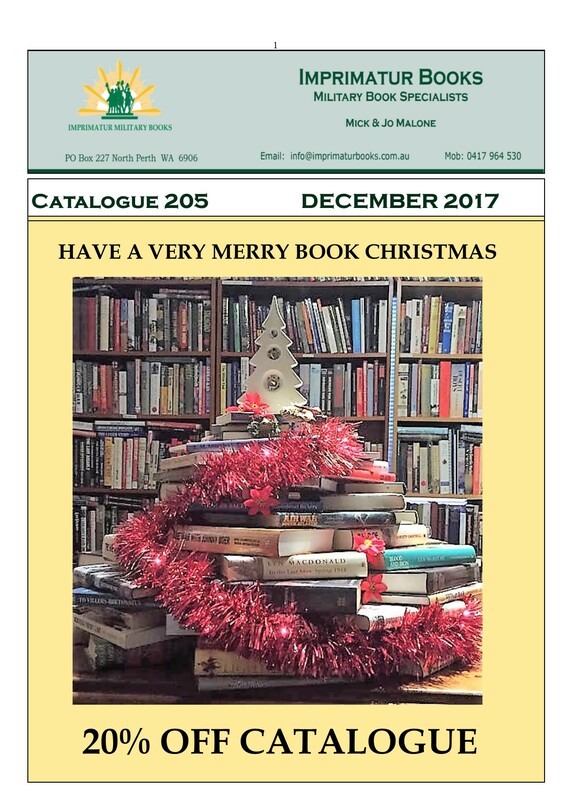 As our 20% off Christmas list, Catalogue 205 hits the streets, Malone HQ is preparing for an unforgettable week with son Toby and his kids Cormac and Brigid flying in from Canada on Tuesday in preparation for daughter Georgia’s wedding on Friday. But in the midst of our celebrations we mourn the lost of Bill Maher, a man of impressive credentials who rose to be RSM of SASR and onto RSM Defence Academy. Bill died last week as a result of a severe stroke and never regained consciousness. He was 52. RIP Bill, a good friend and highly regarded by all, a man who left an indelible mark on the Regiment and Army in general. A terrible thing to lose a man of this calibre. This catalogue is dedicated to Bill’s memory and we hope Melissa and kids will be OK.